Hi everyone! 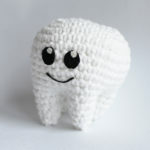 Today I’m sharing a crochet project that I recently finished. It’s a simple crochet triangle shawl made with yarn called Katia Velour, which is extremely soft and fluffy. When I saw this yarn, I instantly fell in love. It’s probably my most favorite handmade item I’ve ever made. 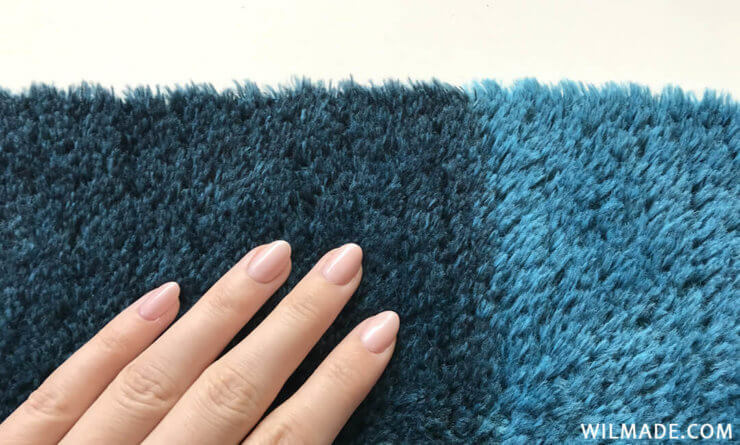 I am so in love with the soft touch and how chic it looks. There was only one problem… the yarn was meant for knitting and there was no crochet pattern available. But I truly fell in love with this yarn and couldn’t resist giving it a try! I started this project one year ago. With a big crochet hook (size 6mm/J hook) I started working on a simple shawl with this fluffy yarn. 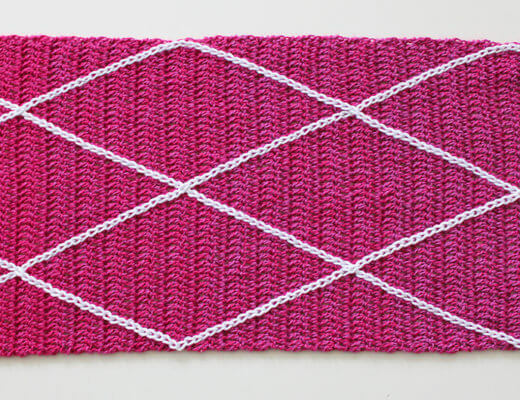 The shawl is made with single crochet stitches and increases on one side. 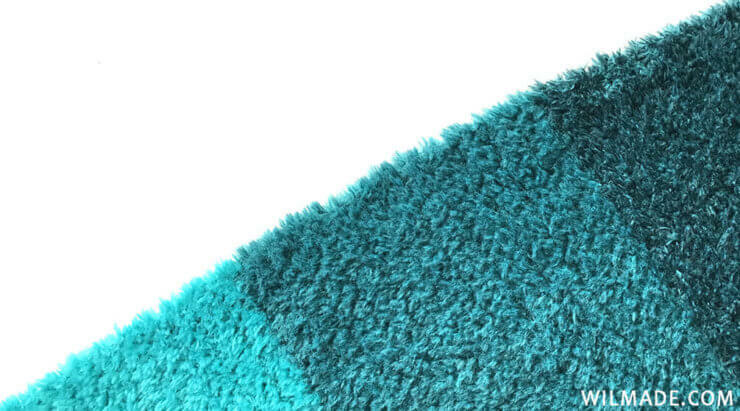 It was a pleasure to feel the soft fluffy yarn slip through my fingers. However, I have to say.. it was one of the most challenging projects I’ve worked on so far. 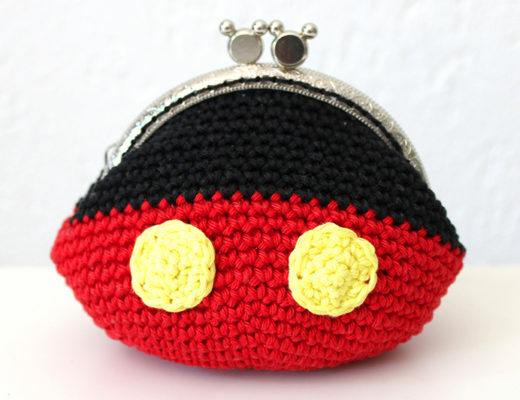 Not because the pattern was difficult, no.. it was like crocheting with my eyes closed. I had a hard time seeing the stitches and I often ended up make an error somewhere. I decided to put the project away ‘for later’. Last month, one year after starting it, I picked it up again and noticed it was actually going better and faster than last year. Maybe because I got more experienced over the year, or because I was super motivated to finally finish the last part. I didn’t have to frog that much and within a few days I was able to finish the shawl. Pfew! I did it! And let me tell you.. it was worth it! 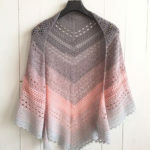 If you want to make the same shawl as I did, you can follow the free crochet triangle shawl pattern below. 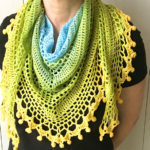 It’s the same pattern as my ‘It’s So Fluffy Shawl‘ which I made with another fluffy yarn (Lion Brand’s new LB Collection® Soft Spoken), but with some alterations for this yarn. The yarn that I used is called Katia Velour. Last year Katia had a cake version of this yarn which is called Katia Velour Degrade. The big advantage of this cake was that I didn’t have to buy 8 different color skeins. This year the cakes are harder to find as they’re discontinued. I found a shop on Etsy that still has 3 color options on stock (only 1 left of each color, hurry! ): pink/purple/red, green/brown/army & orange/red/brown. But of course you can also buy the normal Velour skeins in your favorite colors (big stock available on Etsy). I highly recommend this yarn to knitters. 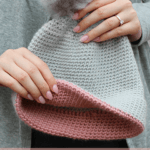 If you want to crochet with this yarn (like I did), I only advice it to experienced crocheters because you need to feel where the stitches are rather than seeing it. The good thing about this yarn is that you can easily rip it out and start over. The yarn will not get damaged or knotted, so it’s a frog-friendly yarn. 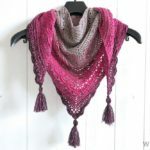 If you’re looking for a beginner-friendly fluffy yarn, check out the yarn I used for my other similar shawl here. That yarn is easy to work with, but less soft/fluffy. In this video you can see how to make the shawl. The video is from my other similar shawl which is basically the same pattern, but different amount of rows of color changes. 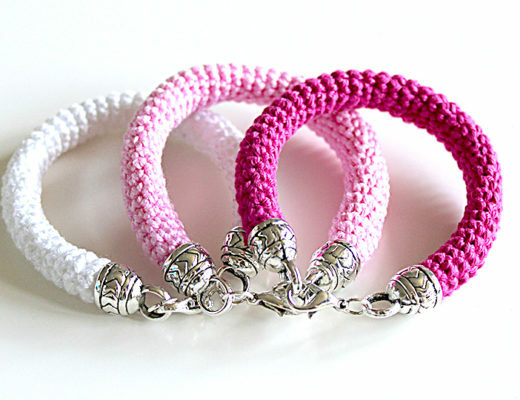 Place a stitch marker in the last stitch you made in row 3. Now we’re going to make 1 sc in every stitch, and when we reach the side of the stitch marker, make 2sc in the last stitch. Repeat row 4 & 5 till row 100. You now have 51 stitches. Repeat row 101 & 102 till row 197. There are 2 stitches left at the end of row 197. If you have any questions about this fluffy crochet triangle shawl or any of my other patterns, feel free to join my Facebook Group. I created this group for you to share pictures/ progress, ask questions and to help each other out.